Another blow for free speech in China. China is further clamping down on alternative viewpoints, allowing nothing to slip through its censorship net. In the most recent case, the Chinese court has ordered the former chief editor of an influential cultural magazine to apologize for daring to question an official account of a wartime story. Hong Zhenkuai questioned the accuracy of the “Five Warriors of Mount Langyashan,” a story about five soldiers who allegedly jumped off a cliff rather than surrendering to Japanese troops during World War II. Used as a propaganda tool by the central government, the soldiers were fashioned as national heroes, and reflect Confucian tales of heroics from antiquity. But in 2013, Hong identified some inconsistencies in two articles published in his magazine Yanhuang Chunqiu, and questioned whether two of the five “heroes” had indeed leaped to their deaths. According to the South China Morning Post, the Beijing Xicheng District People’s Court ruled that Hong had tarnished the names of the two heroes, and hurt the feelings of their two sons and plaintiffs, Ge Changsheng and Song Fubao, as well as the feelings of all Chinese people. The court said the famed five soldiers were “a key component of the spirit of the Chinese nation” and that Hong was in a position to publicly apologize for the article to reduce potential damage. Hong was found to have presented “ambiguous speculation, groundless doubts, or even conclusion” in an attempt to deny the authenticity of the five soldiers’ stories in two articles, which went viral on the Internet and misled readers, the court said in a statement, according to Xinhua. “His judgement is clearly faulty and he should bear legal responsibility. The freedom of speech that he advocates is clearly insufficient as a defense against his legal wrongs,” the court ruled. June has been an active month for the scolding of domestic writers and journalists by the China government. Earlier this month, the government’s anti-graft discipline commission criticized the party’s propaganda department for failing to control the media and the internet and provide oversight of ideological teachings at universities. “The effect of guiding art and literature to serve socialism and the people was not obvious enough and the news propaganda is not targeted and effective enough,” said the Central Commission for Discipline Inspection on its website. 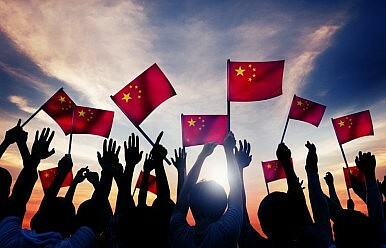 In the same week, China’s internet regulator, the Cyberspace Administration of China, announced on its website that it would further crack down on “chaotic” online comments on news websites and social media platforms, and called for Chinese websites to launch campaigns to bolster positive commentary to foster a “healthy and well-intentioned” online culture, as well as creating mechanisms for the public to better report “harmful” comments. “Free speech is not without boundaries, and it should be protected on the premise that it does not infringe on other people’s legal rights.” Xinhua quoted one of the judges in the Hong case on Monday. The detained Yang Hengjun is a novelist and a prolific online commentator, who often addressed sensitive political issues.